Our quality assurance system in accordance with DIN EN ISO 9001 for the entire area of the sales of electronic components ensures you a consistently high quality standard of our products and our service. The ESD protection according to CECC standard that is implemented in the context of DIN EN ISO 9001 provides optimum protection and ensures the high quality of our products. Qualified and trained employees ensure the proper picking and fast delivery of our orders. Since 2009 GLYN GmbH & Co KG has the status of an Authorized Economic Operator (AEO). 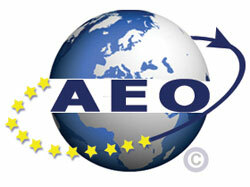 The Authorized Economic Operator (AEO) has a spezial position: So he is regarded to be very trustworthy and is able to claim special reliefs at the customs clearance. ERAI, Inc. is a privately held global information services organization that monitors, investigates and reports issues affecting the global semiconductor supply chain. Since 1995, ERAI tools and services have assisted buyers and sellers from all sectors of the supply chain in preventing loss by mitigating risk in the material purchasing process. Our unique service enables companies to perform industry specific risk mitigation on suspect counterfeit, high-risk and non-conforming parts, as well as, problematic vendors and customers. ERAI's services and risk assessment tools are continuously enhanced to keep pace with our Members' needs and concerns. ERAI's proprietary database and an experienced and personable staff provide our Members with the tools they need to prevent problem situations before they happen, thereby avoiding unforeseen financial losses. In addition to the numerous risk mitigation services offered by ERAI, our organization also tracks and reports information on the rapidly growing problem of corporate identity theft. ERAI is the leader for in-depth information on counterfeit, suspect counterfeit and nonconforming parts which provides Members with the industry’s most comprehensive list of known problematic electronic components. Access to this valuable information stored in ERAI's Nonconforming Parts Database enables your organization to better mitigate risks in your procurement process on both off-the-shelf and end-of-life or obsolete parts. ERAI brings together the industry's best practices for risk mitigation, vendor qualification and order screening to help you prevent losses and safeguard your business in today's rapidly changing and complex international business environment.